After graduating with a bachelors from Rutgers University, Joe went on to earn a master's in computer science from UC Berkeley for designing Borneo, a set of language extensions to add full IEEE 754 floating-point support to the Java TM programming language and virtual machine. An active member of the IEEE 754 revision committee, Joe has served as editor of the draft standard. 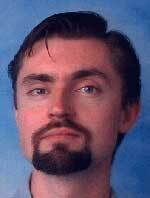 Starting as Java Floating-Point Czar in September 2000, Joe has been responsible for improving and supporting all aspects of Java technology numerics. For Tiger, Joe's realm expanded to include developing an annotation processing tool, updating core reflection to support new language features, and occasional contributions to javac.